Carrie Fryar lives in Guthrie, Oklahoma with her husband Kraig, and two sons Jayce , 11, and Kacy, 1. They raise horses and cattle on their ranch just south of Guthrie. Fryar is a Real Estate broker with Keller Williams Realty, and has been helping homebuyers find their dream homes for over 11 years. She specializes in listing farm and ranch properties across Oklahoma and the Midwest. Fryar has a Bachelor’s in Journalism and uses that extensively in her real estate business marketing properties for her sellers. Although she is busy with family, teaching and her real estate business, she still finds time to be active in her community. She is on the Guthrie 89er Celebration Committee and is the 89er Rodeo Queen Chairman. She has been coaching horse show kids and rodeo queens for over 15 years. Fryar has shown horses on a National level and has over 55 National and World Championships to her name. She is a Judge for several national horse breed registries and travels the country judging horse show competitions. Fryar has been using her title to help gain exposure for Access Sports, and organization she works with that provides opportunities for under privileged kids to participate in a variety of sports programs. Fryar won the title of Mrs. Regency International last July and is using her reign to get visibility for charities she works with and promote the Regency International pageant system. Atia Willis 27 years old born and raised in Houston Texas. Currently resides in Pearland, Tx. Atia has been competing in pageants since she was a toddler, winning multiple titles such Miss Teen SouthEast Tx and Miss Austin USA 09, Ms. Texas Regency International and the most recent Ms. RegencyInternational. Atia’s Title Goal is to bring awareness for children with special needs. She has a Non Profit Organization called A Place For Dreamers in Rosenberg, Tx where they provide horseback lessons for children with any type of disability. Atia also enjoys working with young girls to also discuss and focus on today’s problems in the youth like Per Pressure and Bullying. Meet Miss Miracle Edison. It is with great pride and honor that she holds the title of Miss Regency International. Miracle was raised in West Africa, Cameroon. She Currently resides in Houston Texas with her mother and Grand Mother. She is 24 years old and is in her third year studying to complete a doctorate of pharmacy degree at Texas Southern University. Miss Edison obtained a Bachelor of Science degree from university of Houston Texas with honors and also graduated from Elsik High school in Houston Texas. ​Miracle is a community activist by way of donating resources to communities in need and also, by volunteering her time and voice to build a better world. 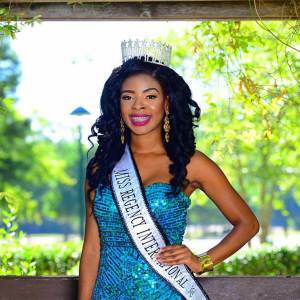 The most significant experience of her life is participating in the Miss Regency International, Miss Africa Texas, and Miss Africa USA Beauty, Educational and Humanitarian Pageant; of which she holds the title of Miss Cameroon USA 2010, Miss Africa Texas 2012 and Miss Regency International 2015. 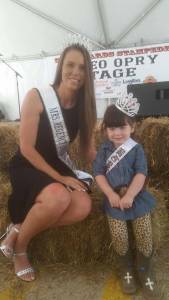 Sophie Lewis is proud to reign as Jr Miss Regency for Regency International Pageants. She is currently a 7th grader maintaining her all A average. At school she enjoys participating in Spanish club, student council, choir and the dance team. She has been admitted to the Duke TIP program and will take the SAT this Spring. Volunteering is an important aspect for Sophie in any title she wears. She often volunteers at her local food bank and the various 5K’s in the Austin area. Giving back to the community is very important and a life lesson she will carry with her into the future. Currently, she is putting together an entertainment troupe of talented friends who will tour the various retirement homes in the area to entertain the residents. It’s a great way to combine her love of volunteering with her hobbies. Sophie has already performed in a variety of musicals such as Sound of Music, Music Man, and The King and I. She loves musical theater and enjoys singing in a variety of groups. Her favorite musical is Wicked. Musical Theater offers a large range of plays that have songs that reflect every mood or situation; that’s what she loves about it. When she’s not on the stage or playing lacrosse, you can find her at home enjoying her dog, Razzle Dazzle or her cat, Mr. Paul Stanley. Her favorite quote is attributed to Dr. Seuss — “Don’t cry because it’s over, smile because it happened.” It’s a motto she tries to live her life by. Sophie is honored to be a part of the Regency International system and is excited to meet next year’s contestants. It is a great honor for Serenity King to hold the title of Teen Miss Regency International. She is from Lufkin, TX. Serenity is 13 yrs old and an 8th grader at Lufkin Middle School. She is a member of the Lufkin Panther marching band where she sits as 1st chair Saxophone. She has been a Majorette for 2 years and also the 2015/2016 Drum Major. 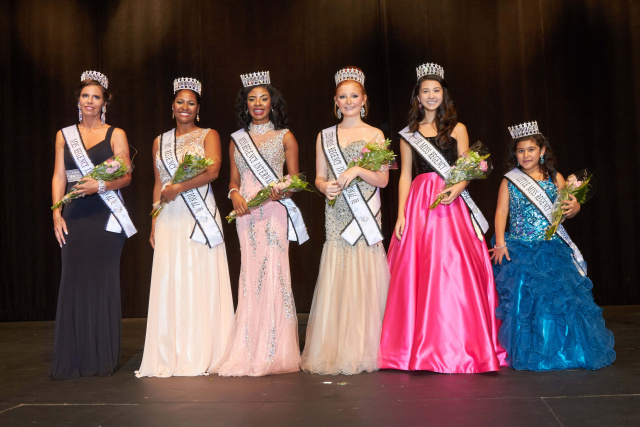 She holds several local pageant titles including Teen Miss Blueberry and Teen Miss Lufkin. Serenity is a member of the student council and in the Honors program. She takes great pride in volunteering at the “I am Beautiful” Special Needs Pageant every year. She is an animal lover and has several pets of her own: Maddox (dog) Gracie (cat). She loves fashion and modeling as well! When she gets older she wants to attend Juilliard and aspires to play in an orchestra and someday be a composer. Serenity has 3 sisters Avery, Carmella and Juli. 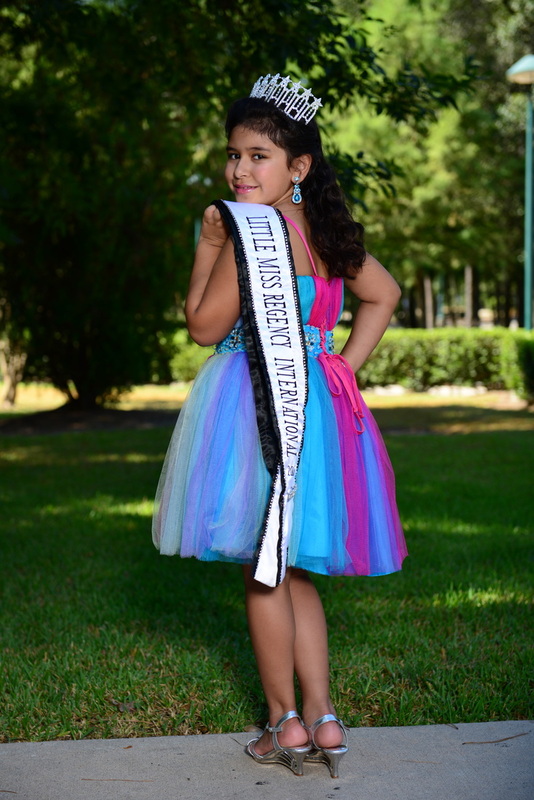 She loves participating in pageants as they build confidence and courage. She strives to be a great role model for young girls especially her younger sisters. She hopes to compete and hold more Regency International titles when she comes of age.